Kasbah Tabelkoukt - Luxury Riad in Morocco. 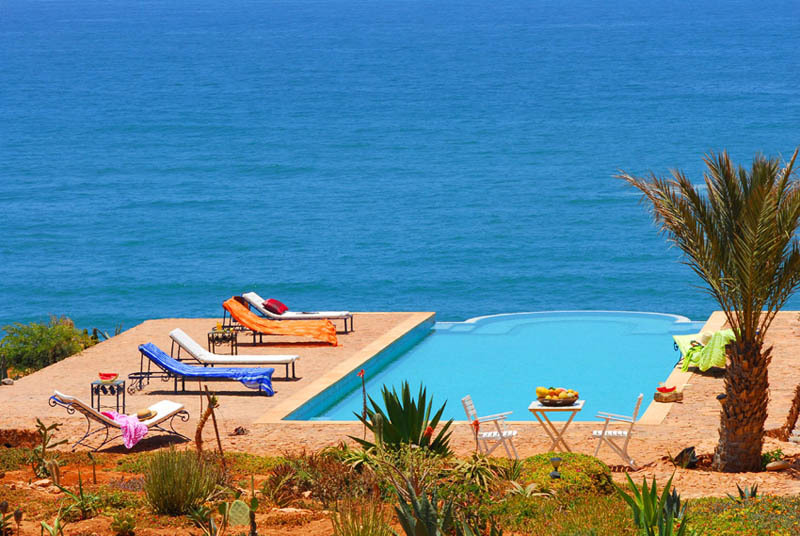 Book Kasbah Tabelkoukt Today with Hip Morocco - Holiday Accommodation in Mirleft, Morocco. 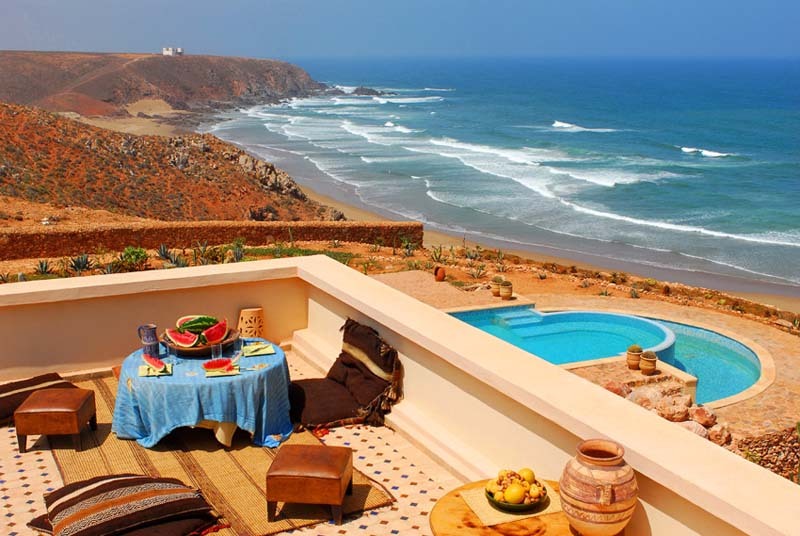 "Grand Moroccan Kasbah with a contemporary homely atmosphere"
In an attitude of defiant power, the newly constructed Kasbah Tabelkoukt perches on the edge of a cliff looking down on the secluded surfing bay, daring the wild animated ocean below to reach up the rock face and grab it. French owner Nicole has put all her love of Moroccan buildings and finishes into her southern Kasbah Tabelkoukt: floors are sensual-soft bejmat or old-style tiles, walls are beautifully smooth-hued tadelakt, the patio is wafer bricks, the double-height hall it topped by a great dome, the library is the quiet spot you may need from time to time all of which to make you stay in Mirleft a personal, picturesque and enchanting experience. Arches and high, carved antique Marrakchi doors are everywhere in Kasbah Tabelkoukt, a magnificent four-pillared fireplace brings extra punch to the dining room, the salon, with two more fireplaces, leads out to the great brick terrace and the patio gives the Kasbah Tabelkoukt a perfect warm heart. The 7 bedrooms of Kasbah Tabelkoukt, each crafted in a different style (African, Fassi, Art Deco,...), have space and comfort to spare, carefully-chosen antique and more contemporary furnishings and really super bathrooms. Most bedrooms at Kasbah Tabelkoukt have their own fireplace and terrace, too. And at every turn, from every window, a view to die for. An ideal base for exploring the coast, north and south, and the unsung delights of the Anti-Atlas. Breakfast is plentiful and served in the sun, on the terrace facing the agitated Atlantic ocean or in the warmth of the cosy dining room. Diners can be ordered and combine all of Morocco's best flavours with the freshest local ingredients. The cuttlefish tajine with a twist of white wine is a must try! Make sure you try out the Kasbah's own Hammam and Spa salon, with some very relaxing and rejuvenating massages. "We stayed here on our honeymoon and every element from the room to the service was absolutely top class. 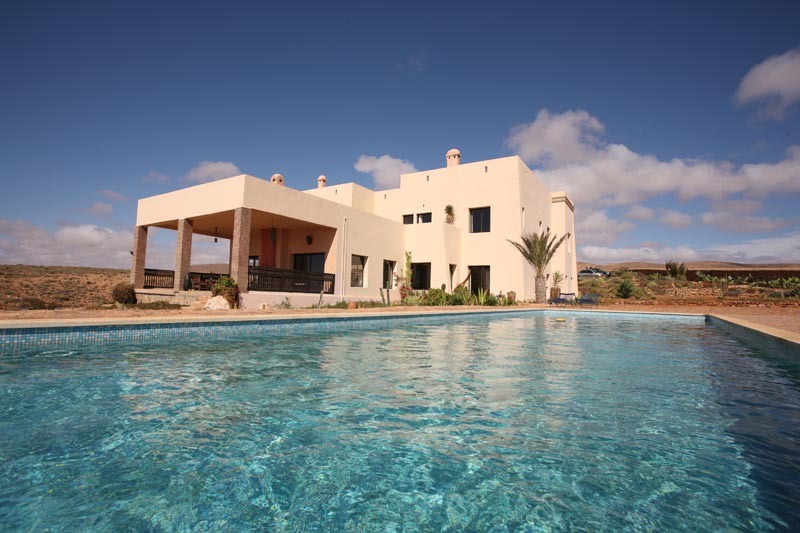 If you want somewhere special to stay in the Mirleft/Sidi Ifni area, then this is it. The situation is another level compared to the other hotels/B&Bs in the area. The beach is almost always empty, and way cleaner than neighbouring beaches. The pool at the Kasbah is beautiful & the views spectacular. The staff were fantastic, from Agnes and Murrat steering the ship, the cleaners who never missed a trick (or a speck of dirt) and Rashid who's Morrocan/French culinary delights were fantastic (request the Fish soup-bisque style) with Aioli if you're around long enough, Yum! 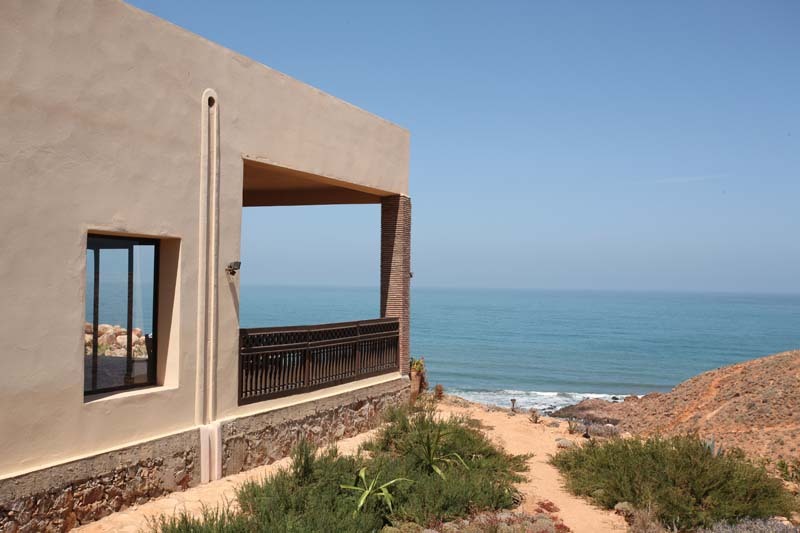 If you're looking for a special getaway on the Morrocan coastline you've found it." 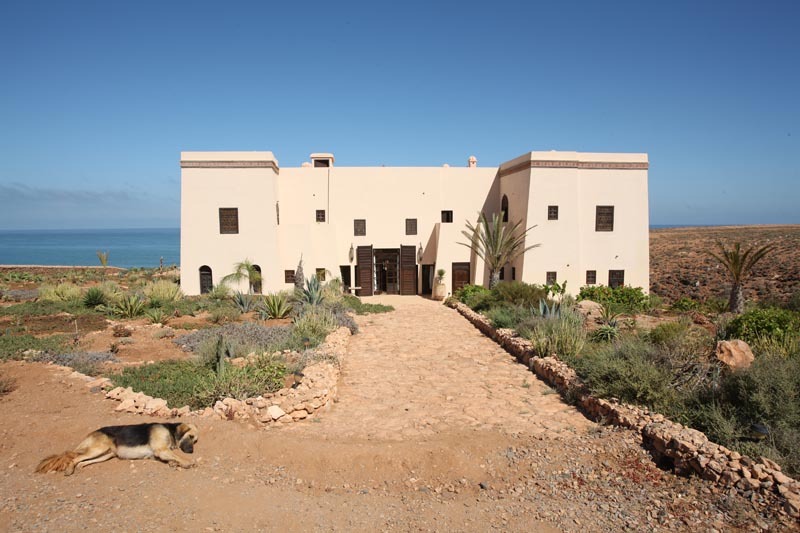 "Kasbah Tabelkoukt has a great location above a secluded beach along which we had leisurely walks every afternoon of our seven day stay. The sunsets were brilliant and the night skies great for observing the stars from the roof. I brought a lot of books to read but read none of them since I availed instead of Madame's brilliant library on the first floor. Every room of the hotel is decorated in fine artistic French Moroccan style and very pleasing to the eye .Each evening before the exceptional meals we had relaxing aperitifs before a log fire. The staff were brilliant - attentive and friendly in every way. It must be thriving there when the surf season starts but in January it gave us just what we required - a sunny relaxing break." 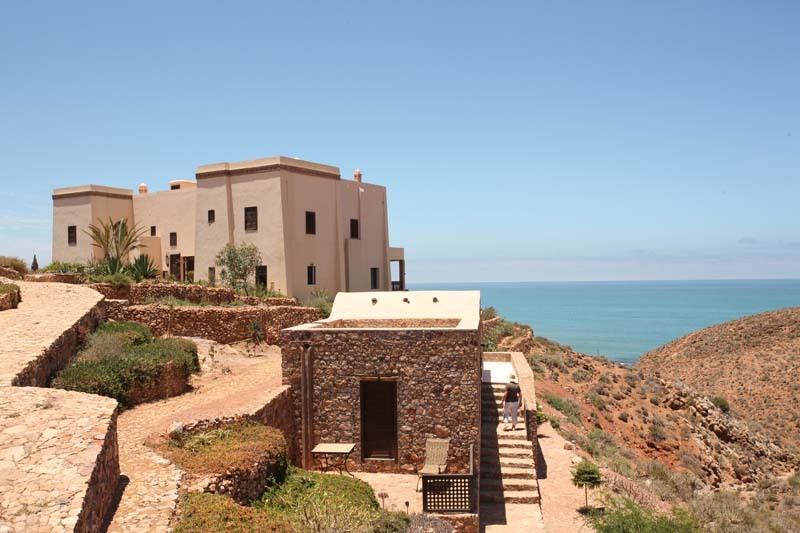 Located 5 minutes drive out of the centre of Mirleft, Kasbah Tabelkoukt sits stunningly on the side of a cliff face looking out over the Atlantic ocean beyond. A 20 minute drive takes you to the small, traditional Berber village of Sidi Ifni with its intimate medina, active fish market and traditional local cafes and restaurants offering beautifully fresh seafood cuisine. The Africane room shares a large private terrace looking out, uninterrupted over the Atlantic ocean and secluded beach below. 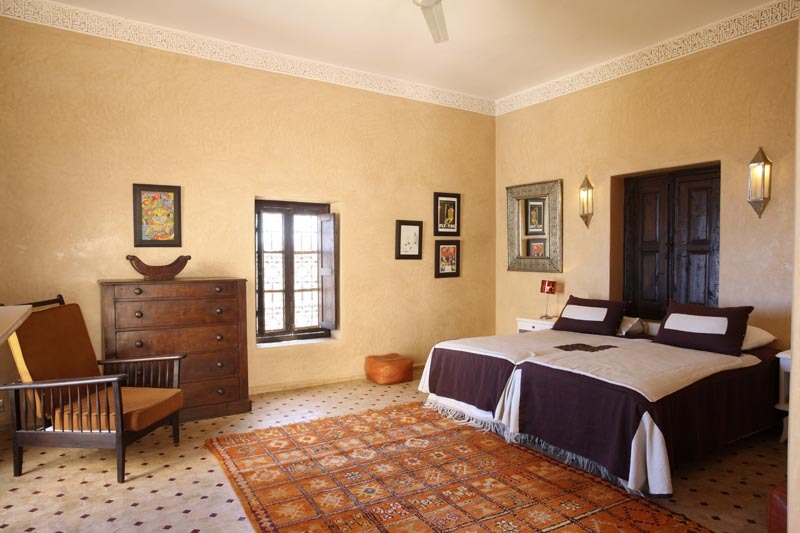 The Africane room at Kasbah Tabelkoukt has been created in a very tasteful African style with a good collection of sub-Saharan and Mauritanian furnishings. This large room has a spacious double bed, which can be made up as 2 twins and sits grandly at the top of the room. A large dark African rug lines the floor creating a warming, sensual and intimate luxury coastal atmosphere. This room has a low deep sofa bed well suited of an intimate evening aperitif. The bathroom has a bathtub and decorated in a yellow brown scaled tiling. The stand out feature is the wide grand African wall mirror that sets an atmosphere of grandeur, alongside the bathtub side window with sea views. 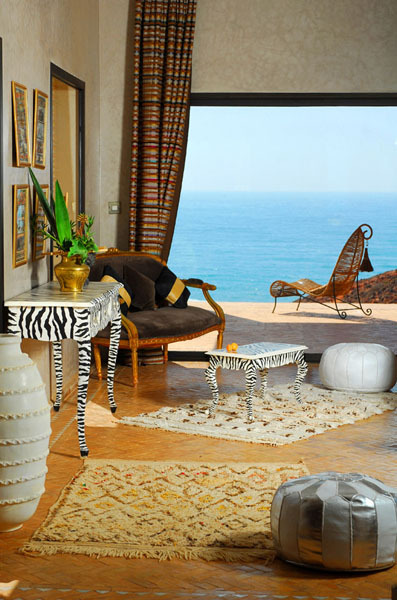 The mountain room at Kasbah Tabelkoukt has a large double bed and thick Moroccan orange floor rug with views of the Atlantic from the large double windows. This room has a good collection of wall art both contemporary and 30s French aristocracy, along with large black metal freestanding mirror creating a regal charm. The large bathroom possesses an unusual but very inviting large boat hull style tiled bathtub and traditional Moroccan building craft of tadelakt. The Havre room is a double room with small private balcony offering views over the countryside of Mirleft. 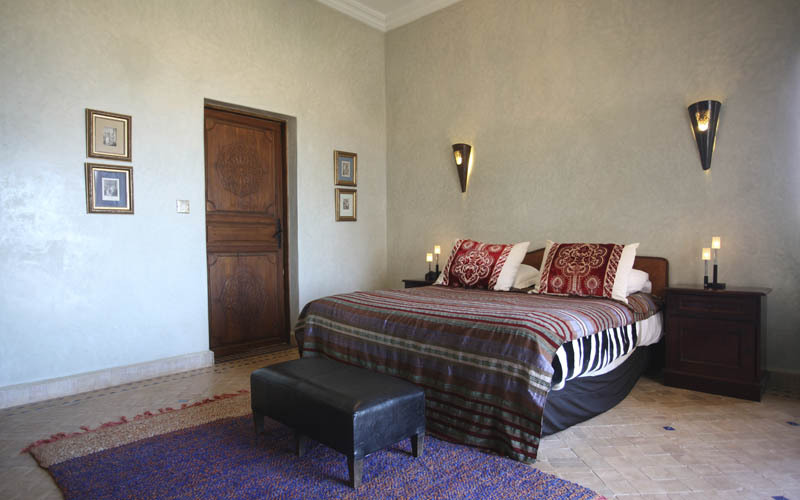 The tall double bed sits at the back of this cosy room at Kasbah Tabelkoukt alongside a small modern seating area. 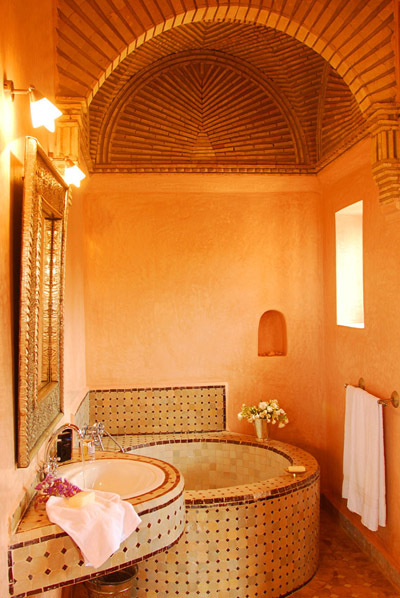 The bathroom houses a large corner bathtub with colorful Moroccan tiling and original rusted rustic metal window grills. The Havre room bathroom has been decorated in a cream tadelakt with traditional colonial style washbasin. 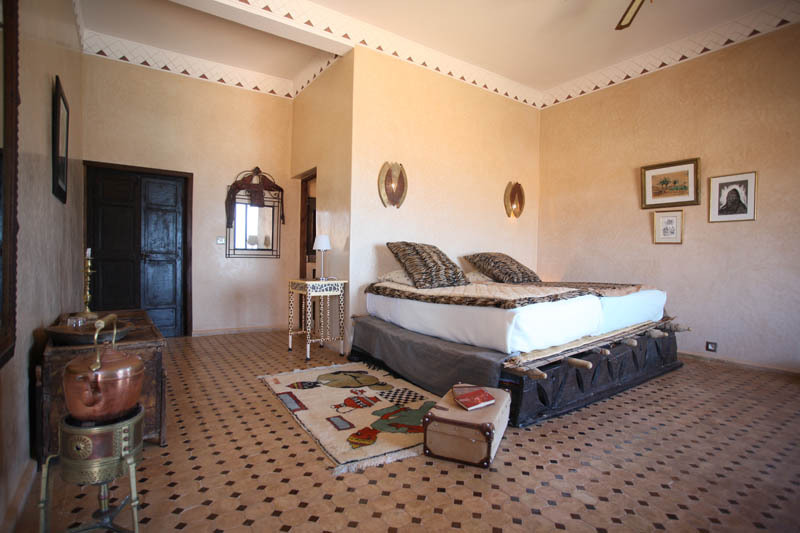 The Honeymoon room is a haven for a romantic getaway in Morocco, with a tall grand bed in a regal style. Perfectly suited for a honeymoon in Morocco along the coast, this room has a large warm Moroccan floor rug and ornate antique Parisian dressing table. Old French artwork don the walls of this room and the private patio balcony opens out onto the pool and gardens of Kasbah Tabelkoukt with breathtaking views of the Atlantic ocean. The bathroom of the Honeymoon room has a large sensual bathtub with views over the gardens below. The wash basin has been created out of an unusual yet intriguing collection of fossils alongside the large Moroccan ornately crafted wall mirror. 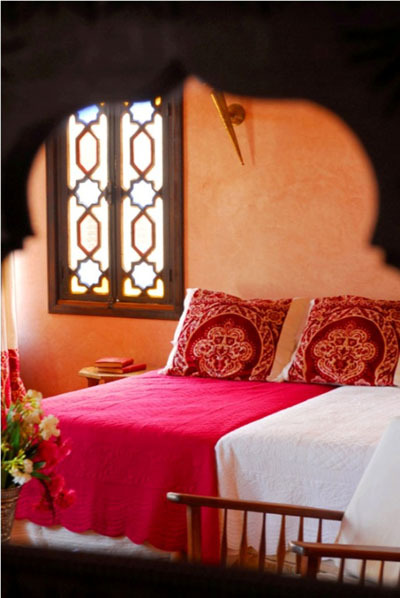 The most traditional Moroccan room in Kasbah Tabelkoukt, Fassia has a large double bed which can be made as a twin upon request. The ceiling skirting has been hand sculpted, something rarely seen outside of the larger imperial Moroccan cities. 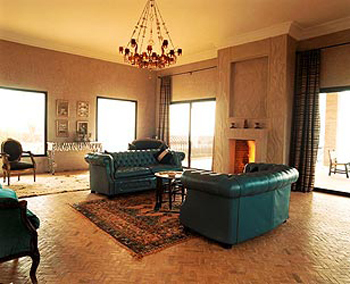 There is a grand sensual floor rug with salon area housing two armchairs and thick oak table facing the in-room fireplace. The bathroom has a round, angled tiled bathtub with a beautifully ornate cathedral styled arche ceiling. The bathroom of the Fasia room is spacious and perfect for a sensual romantic getaway in Morocco along the coast. 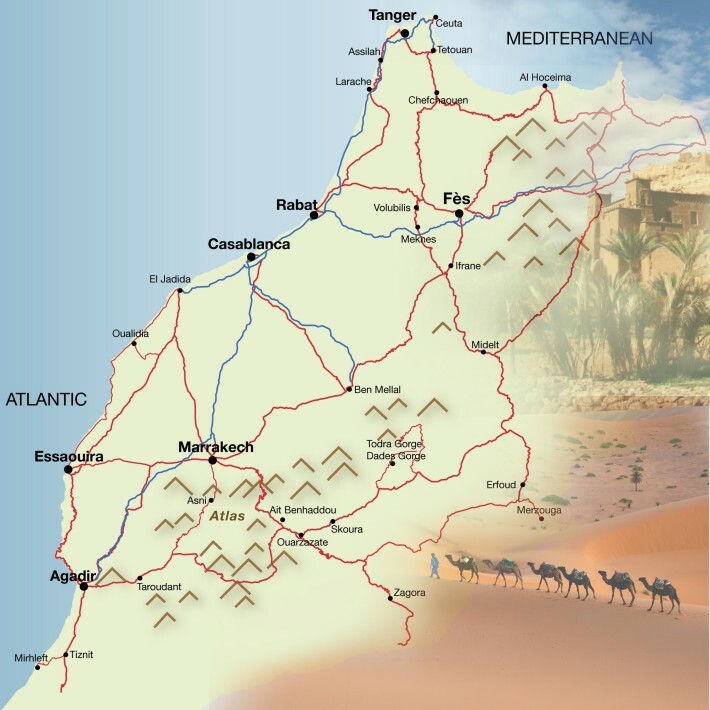 The base rate price at Kasbah Tabelkoukt is in pounds, euros, or Moroccan dirhams and exchange rates are approximate.